The product of decades of experience from our R&D centre in Namyang and endless of testing at the Nürburgring, the Veloster N is unlike any other Hyundai you’ve ever seen. 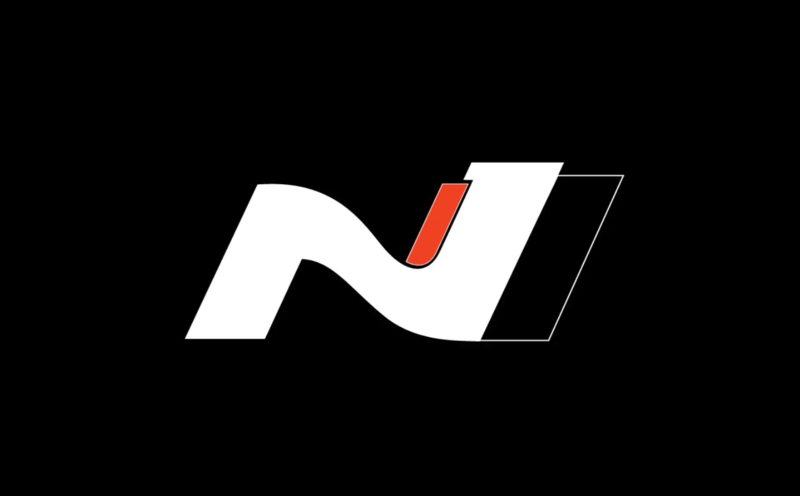 N is Hyundai’s new high-performance series. It’s the first letter of Namyang, the location of Hyundai’s global R&D facility where the models are created. And it’s also the first letter of Nürburgring, the epic track where they’re further tested and developed. Get ready for that race-inspired thrill surging through you the moment you grab the wheel. 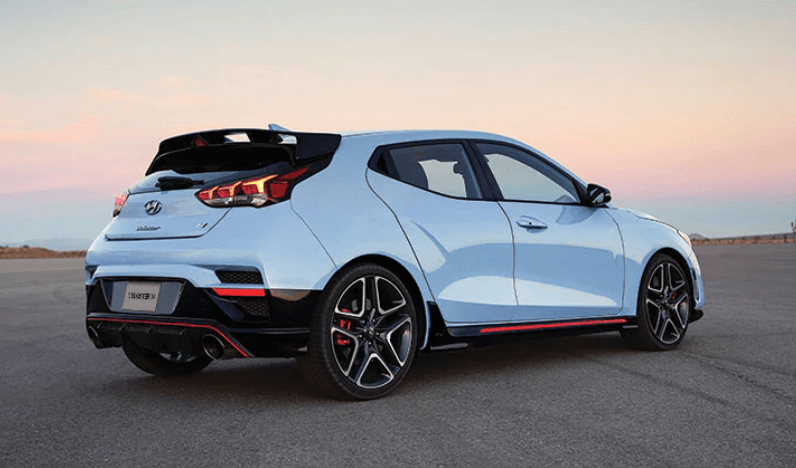 Imagine the Veloster with an even higher level of performance and you get the Veloster N. The all-new for 2019, Veloster N has exclusive styling and design, a spoiler, and a new sport steering wheel, shift knob, and instrument cluster. 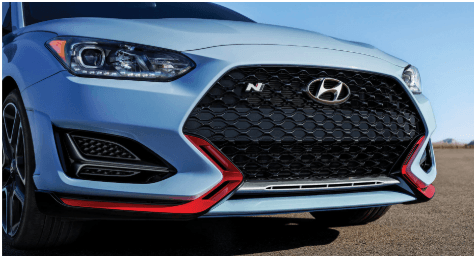 The Veloster N’s has sporty red trim accents to reflect its performance credentials. 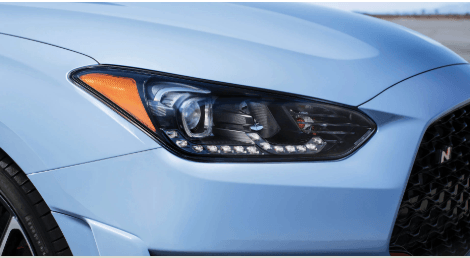 Standard LED headlights and daytime running lights provide excellent visibility and striking looks. 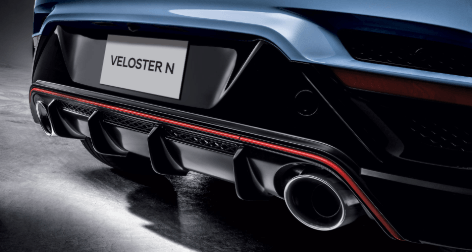 The Veloster N features an active high-flow sport exhaust with a variable actuator to deliver an incredible soundtrack of crackles and pops with every shift. The high-performance 235/35 R19 Pirelli P-Zero summer tires with their unique tread pattern were engineered exclusively for the Veloster N.
Advanced LED headlights offer greater visibility to light the way on every curve. 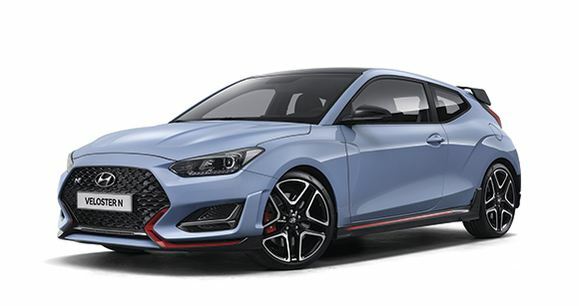 Unlike any other Hyundai you’ve ever seen, the Veloster N is the product of decades of experience from our R&D centre in Namyang and endless of testing at the Nürburgring. Designed to elevate driver engagement to a whole new level, you will experience highly concentrated performance in a precise package. Subtle, yet sophisticated, the blue LED light bathes the front footwell in ambient light whenever the doors are unlocked and fades away when the engine starts. Offering a fully integrated navigation system, the available 8.0 touch-screen was built for the driver who travels far and wide and doesn’t want to access cellular data. Both driver and front passenger will bask in the natural light of the sun through the extra-wide sunroof. Know when you’re approaching red line with sequential shift lights on the unique to the Veloster N gauge cluster, so you can shift gears at the precise moment to maximize performance. The Veloster N features a heated steering wheel equipped with mounted audio controls and an integrated Bluetooth® phone system with voice recognition. remain firmly in control with the heavily bolstered, N-exclusive sport seats, ergonomically designed to provide peak support and comfort and heated for extra warmth in the winter. The 275-HP 2.0L turbocharged engine with 260 lb-ft of torque places heart pounding power right at your foot. Combined with launch control, the Veloster N delivers an invigorating snap that will keep you firmly planted to the back of your seat. Automatic rev-matching helps you get the most out of the short-throw six-speed manual with smooth downshifts. Further enhancing the experience to attain peak acceleration, a shift timing indicator alerts you to an approaching redline. The N exclusive steering wheel puts driving performance features right at your fingertips. Choose N mode for optimal performance, or tailor the driving dynamics with Custom mode. It allows you to select then store for later recall, your preferred steering weight, engine mapping, damper firmness, exhaust sound, and stability control. true torque vectoring to precisely distribute torque where it’s needed most to stabilize cornering speed and reduce understeer for enhanced handling agility. 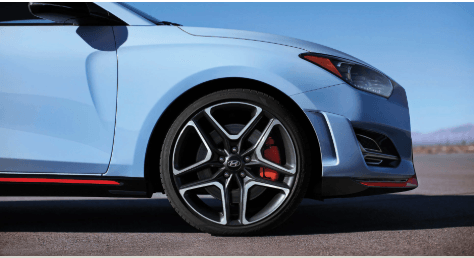 At the core of the Veloster N is the SUPERSTRUCTURE™, a state-of-the-art platform built with our Advanced High-Strength Steel that is designed to be stronger, stiffer and lighter than conventional steel. In the event of a collision, it helps protect occupants inside the vehicle by absorbing harmful energy and redirecting it away from the passenger compartment. Anti-lock Braking System with Electronic Brake-Force Distribution. The standard Anti-lock Braking System helps maintain vehicle steering control while braking. During abrupt and hard braking, the brakes automatically apply and release several times per second to prevent tires from slipping. Six airbags provide all-round protection. There is one for the driver, one for the front-seat passenger, two curtain airbags running the length of the cabin, plus two side airbags. 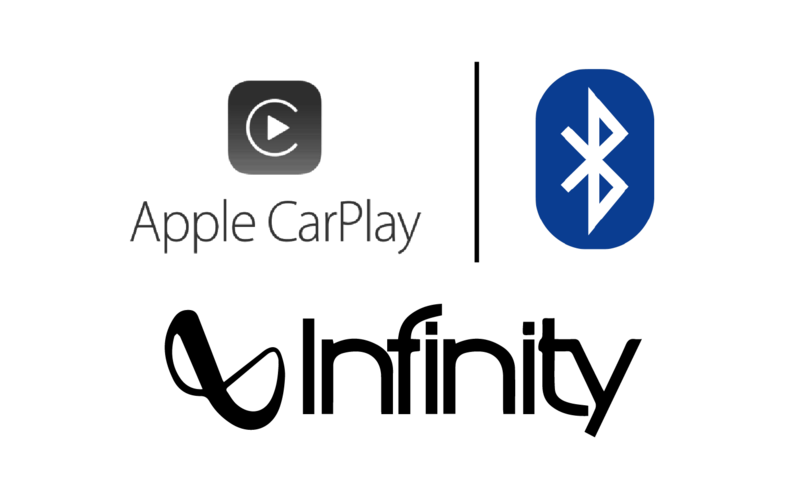 Seamlessly stream your favourite music, use voice commands for text messages, and interact with your favourite apps on the 8.0” touch-screen display thanks to standard Apple CarPlay™ and Android Auto™ smartphone connectivity. With the all-new Veloster N, you can enjoy a complimentary 5-year subscription with our standard BlueLink® connected car system. You will get a world of conveniences like unlocking or locking the doors remotely, help finding your vehicle if you’ve forgotten where you parked it, and in the event of an accident, the system can automatically call emergency services. 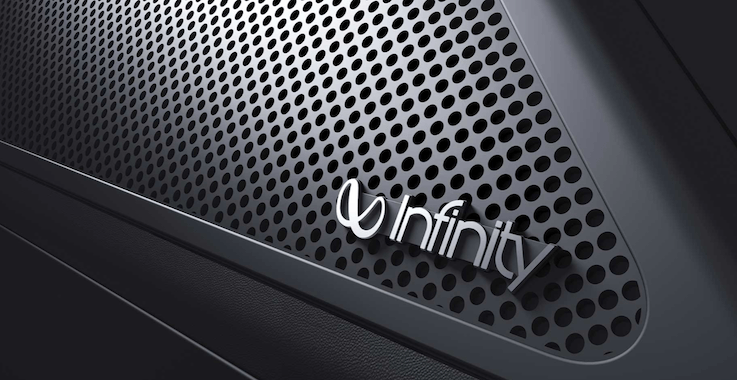 For the audiophile, the standard Infinity® premium audio system delivers plenty of power with 8 speakers — including an external amplifier.